According to the National Heart, Blood, and Lung Institute, 6-8% of all pregnancies include high blood pressure problems, while the rate of preeclampsia (high blood pressure, and protein in urine) has increased by nearly 1/3 in the past decade. Even now, the 2nd cause of maternal death in the US is complications from unmanaged and untreated preeclampsia. So, what are we going to do about it? Try and prevent it from happening in the first place. Although some of the conditions that lead to pregnancy induced hypertension and preeclampsia are genetic, or caused from poor kidney function, the way we care for our bodies in pregnancy can decrease the risk of causing the complications to begin with. Vitamin D: Take it daily, especially if you live in a place that doesn't get enough sun during the year. Try for 2,000-5,000IUs daily, or 15-20 minutes of pinking sun if it's available! Folate and B Vitamins: Work on including 6-8 cups of dark green leafy vegetables into your daily nutrition. Smoothies and juicing counts! Magnesium: We love pumpkin seeds! They happen to be high in magnesium, which is not only needed in over 300 enzymatic reactions in your body, but also as a main co-factor to balance blood pressure. If you want a supplement, try 400-600mg of magnesium glycinate. The glycinate form will not move your bowels like other forms of magneiusm will. Calcium: No, not milk, spinach! There are other wonderful foods to choose from when you're thinking about calcium and blood pressure health. Try spinach, collard greens, basil, cinnamon, kale, rosemary, and yogurt. 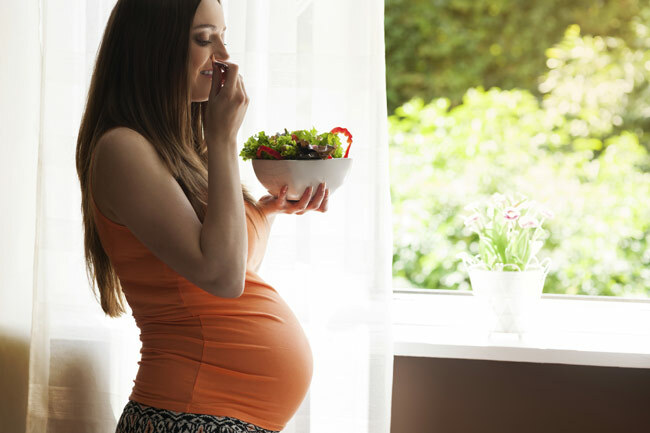 Take these steps daily to improve and balance your blood pressure health during pregnancy.